Nanjangud: As part of Gandhi Jayanti celebrations, the Congress party will be organising a massive Udyoga Mela (Job Fair) at Vidyavardhaka grounds in Nanjangud town tomorrow (Oct.6). Announcing this at a press meet here yesterday, former Nanjangud MLA Kalale Keshavamurthy said this was the first time that the Congress party has organised this Mela aimed at providing jobs to unemployed youths and physically challenged persons. 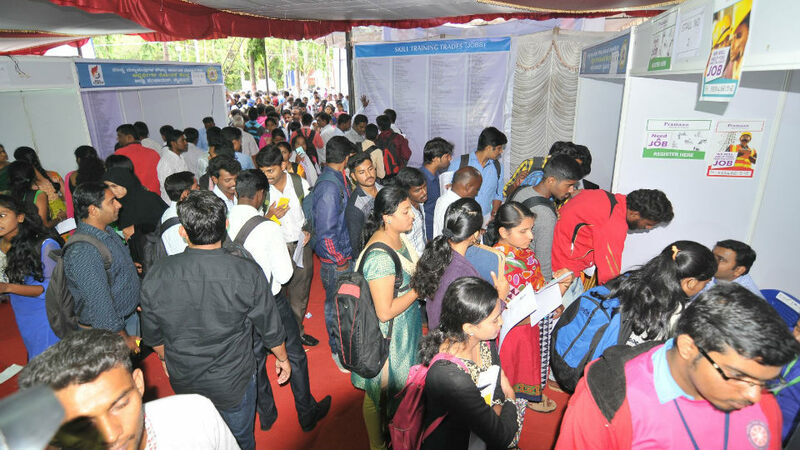 Stating that MP R. Dhruvanarayan was the man behind this job fair, Keshavamurthy said many MNCs and top companies are taking part in the Job Mela.